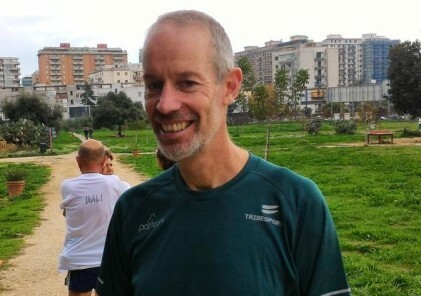 Paul Freyne – 500 parkruns at 456 different venues! 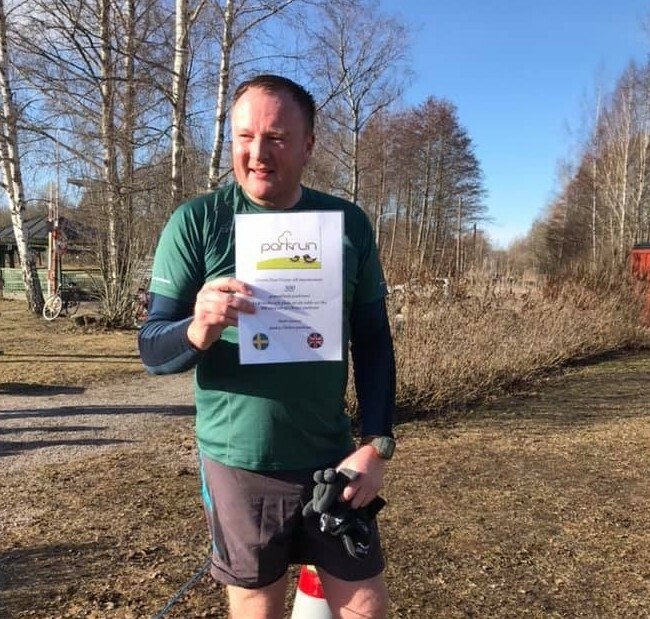 “I first met Matt at the inaugural Skatås parkrun in August 2017 and was immediately impressed with his passion for parkrun and pride in is home parkrun in Örebro. 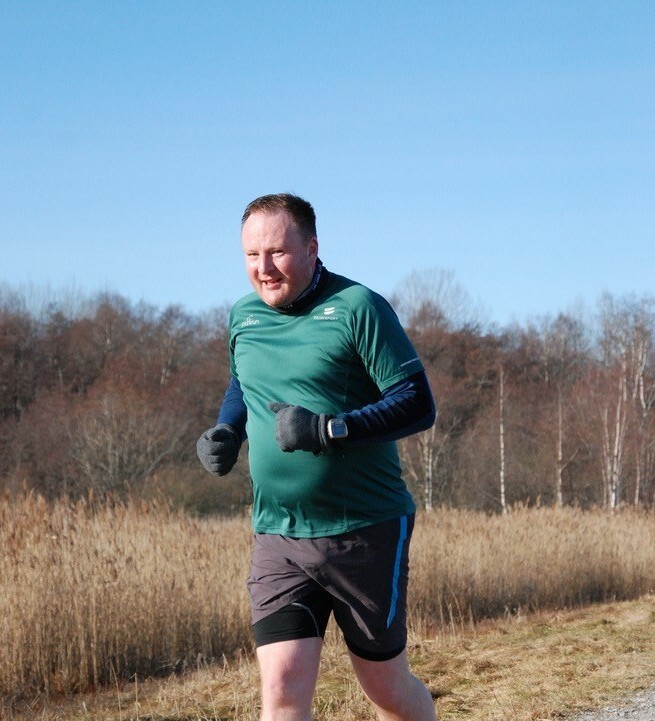 I quickly liked the Örebro parkrun Facebook page and saw all of the fantastic photos of the beautiful course and felt a lot of positivity from the photos of the runners having such a great time. 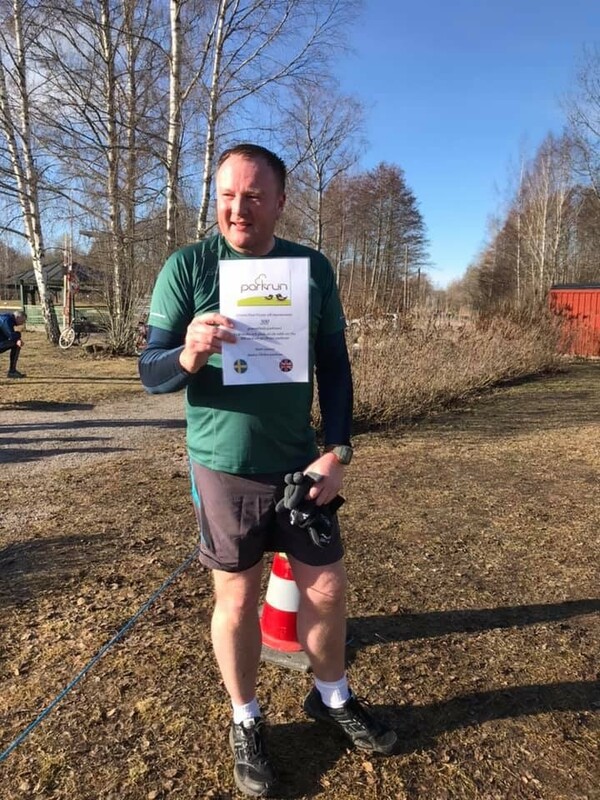 In August 2018 I worked out that if I didn’t miss a parkrun and did extras on Christmas and New Years Day I would be able to do my 500th at Örebro on 2nd March 2019, as it seemed like a very memorable location for my special day. I booked the flights soon after and then at 8.45am on the said date I arrived and saw the beauty and positivity for myself. 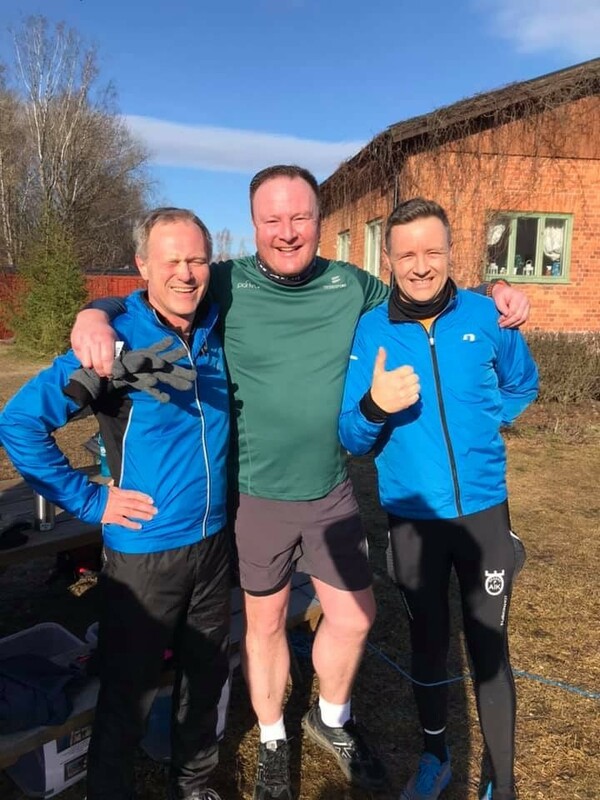 It was a cold day (by UK standards anyway) but the volunteers had arrived and the course was being set up in the same way as it would be on a hot summer’s day. 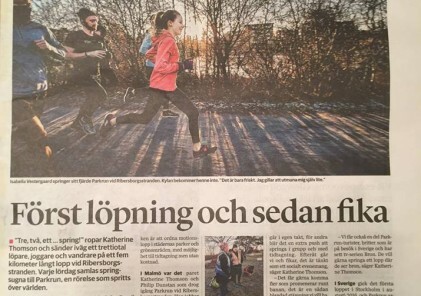 Soon we were running and I got to see the whole course for myself. It was definitely stunning and one I will remember for a very long time and one that I have already recommended to all of my UK based tourist friends. 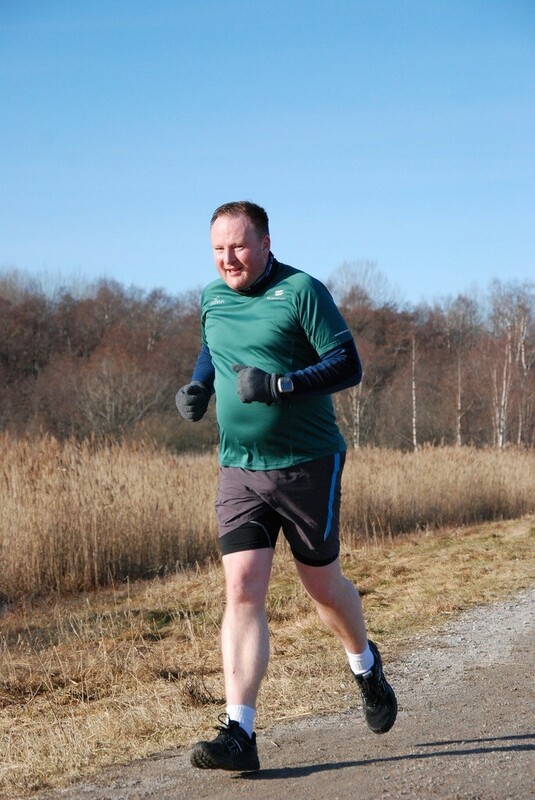 Then afterwards it was into the Naturens Hus café for a post parkrun fika. 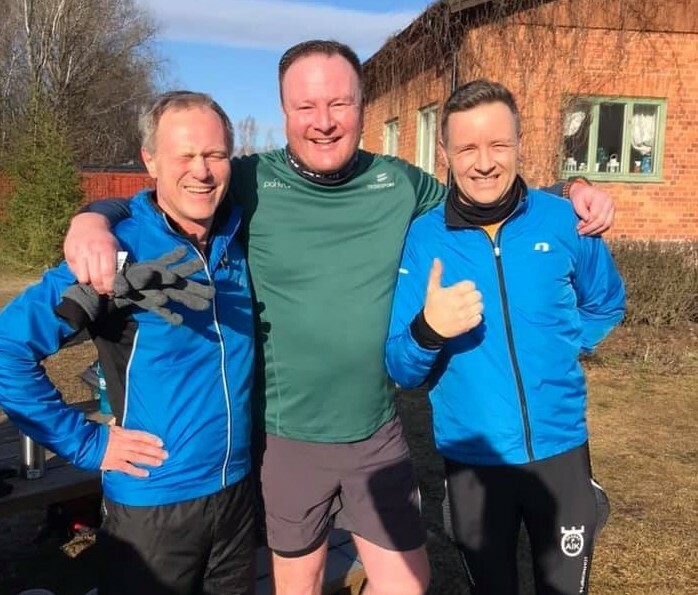 I really enjoyed talking to the Örebro regulars and there was a real international flavour too, with Australian and South African parkrunners joining us too.